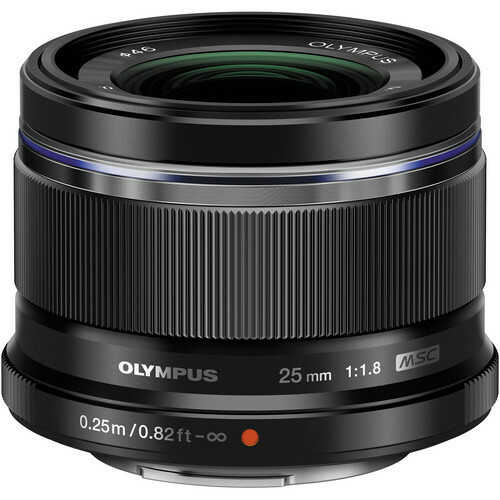 The black Olympus M.Zuiko Digital 25mm f/1.8 Lens is a standard prime lens with a 35mm format equivalent focal length of 50mm that is designed for Micro Four Thirds cameras. This lens features a fast f/1.8 maximum aperture ideal for working in low-light situations and for separating your subject from the background. Contributing to image quality is the use of two aspherical elements that helps to eliminate spherical aberrations and distortion.